French journalist Cyril Payen, from TV station France 24, has received threatening phone calls from the Chinese embassies in Bangkok and Paris following the broadcast of his documentary “Seven days in Tibet”. Reporters Without Borders is outraged by the way Chinese diplomatic personnel have harassed and threatened French journalist Cyril Payen, a reporter for the French TV news station France 24, since the station broadcast his documentary “Seven days in Tibet” on 30 May . Payen described to Reporters Without Borders the events that followed the broadcasting of his report. Taking advantage of a loosening in controls on people entering Tibet, Payen, entered the territory clandestinely in early May  in order to do a report on China’s repression of its Tibetan minority. His report, entitled “Seven days in Tibet,” was broadcast by France 24 on 30 May  and was followed by a live debate. As Payen was leaving Paris for Bangkok on 3 June , the Chinese embassy in Paris contacted France 24 and asked to meet with him. As he had by then already left, two embassy officials went to France 24 to talk to its CEO, Marc Saikali. For two hours, they accused the station of broadcasting a mendacious report that was “riddled with errors” and demanded its removal from the website. The station refused. On his arrival in Bangkok on 4 June , Payen received a call on his mobile phone from the Chinese embassy in Thailand, although neither he nor France 24 had given his number to any Chinese diplomats. Asked to go to the embassy as soon as possible, Payen said he was willing to meet at a Bangkok hotel, but the Chinese diplomats ruled out a meeting anywhere but the embassy. She gave him an ultimatum to attend a meeting at the embassy by today at the latest to explain why he had “cheated” in order to obtain a Chinese visa. She urged him to stop postponing the meeting and to comply with the embassy request, or else “take the responsibility” of his refusal. Foreign journalists are forbidden to visit Tibet and the Chinese police continue to prevent them from covering demonstrations by Tibetans in nearby provinces. The police arrested a CNN crew at a toll station in Sichuan province in January 2012 and prevented them from travelling on to the neighbouring Tibet Autonomous Region. 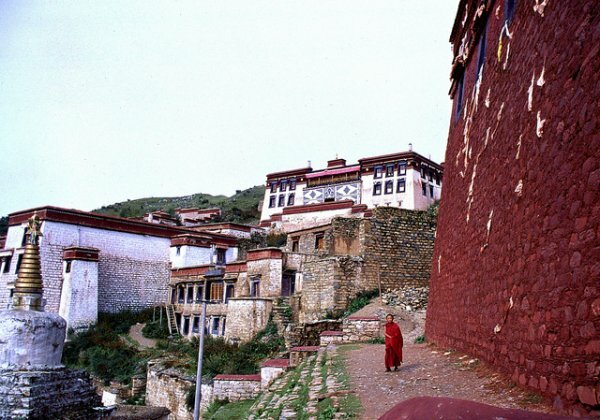 The Chinese authorities are aware that these bans violate their own laws and often use bad weather or the state of the roads as pretexts for denying access to Tibet. The police readily harass foreign journalists suspected of intending to defy their instructions. Some journalists have complained of being followed. The police have escorted others to the nearest airport, interrogated them for hours, forced them to delete their photos and video footage, and confiscated their equipment. The police not only ask to see press cards and passports but also temporary foreign residence permits, which journalists now have to carry with them. These violations of freedom of information foster a climate of permanent surveillance that is stressful for journalists and often takes a psychological toll. In February 2012, China-based foreign journalists asked the authorities to allow them to freely visit the provinces that are closed to them, to have freedom of movement throughout the country and to be able to interview anyone who is willing. Submitted by the Foreign Correspondents’ Club of China (FCCC), which is not recognized by the government, the request was not granted. The authorities have stepped up their harassment of the foreign media ever since the Arab Spring echoed around the world in 2011. Harassment of journalists based outside China is still unusual, but there has been a marked increase in harassment of journalists visiting China or based there. The Communist Party does not hesitate to employ police violence, disguised by the use of plainclothes police, to control foreign media coverage. The beating that a Bloomberg cameraman received in March 2011 was one of the most striking cases. An Agence France-Presse journalist was arrested in October 2012. Two Sky News journalists were arrested while doing a live report from Tiananmen Square in March 2013, although they had permission to film. And there has been an increase in foreign journalists being denied accreditation or visas. China is on the Reporters Without Borders list of “Enemies of the Internet” and is ranked 173rd out of 179 countries in the 2013 Reporters Without Borders press freedom index.